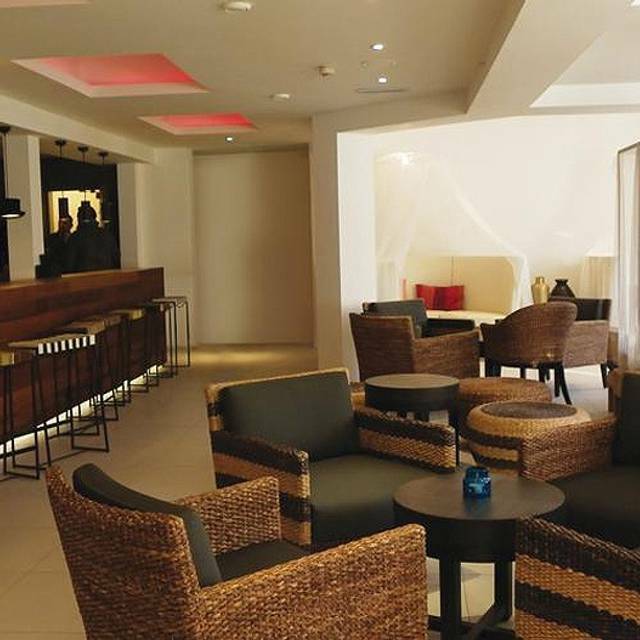 Tiien offer free parking on our terrace area. Also free parking on the road. Pay to park in the hotel are also available. 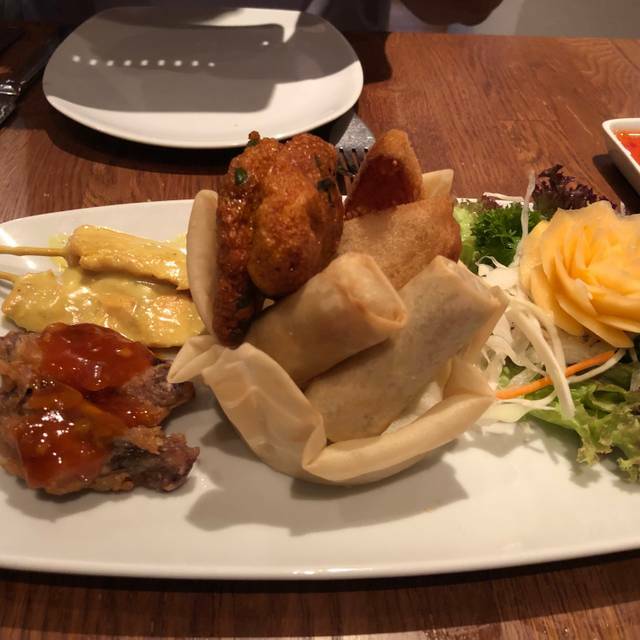 At Tiien Thai Restaurant Bournemouth, we are proud to create exceptional food that is carefully prepared and beautifully presented. 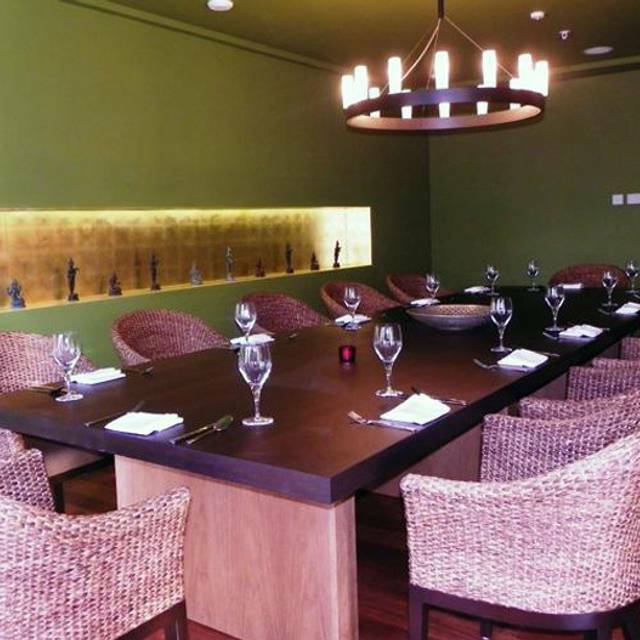 Here you will experience joy and harmony in a serene yet contemporary environment where the most exciting Thai food will be served. Also available for take away. Our head chef, Pong Pan, sources only the finest authentic Thai ingredients to produce the most sublime flavours. His team at Tiien will guide you on a magical adventure of tastes, aromas and textures. We were expecting a really lovely Thai experience from this restaurant looking at it online & from previous reviews. Unfortunately we were a party of three & were seated next to a very large party of people with lots of children. The noise level was off the scale we couldn't hear each other so conversation was killed along with the atmosphere. The party in question were Thai I think and may be it is acceptable to shout at dinner but it ruined our experience & we left much earlier than we expected to. We had no less than 5 different waiters/waitresses who duplicated requests it was chaos!!! The food was actually ok but we would never recommend it or return due to the ambience. They need to sort out the seating of large parties next to couples & a bit of staff training is needed. The only person who gave excellent service & engaged with us was a young lad who had moved from Watford. Everything about the evening at TIIEN THAI was just about ok to good, but not much beyond that. Little things like a lack of a smile the man on the door who showed us to our seats to the mess up over the bill pretty much summed it all up. I thought service wise they were fine but clearly understaffed. Everything felt rushed with plates put down heavily and no real care or attention made. The food was good, price wise was fine. Just overall a little disappointed by it all, maybe jusrt an off night. Food was very good when it eventually arrived but the service was terrible and ridiculously slow. We gave our drinks order twice to the same person before any drinks arrived. We waited more than an hour and a half before receiving our main courses. We flagged it with a member of staff while we were there and they provided a complimentary drink. We had to ask twice for our bill when it was time to pay. We were served by three members of staff - one was friendly but the other two were very miserable. Their advice was not to order many courses if the restaurant is busy - bizarre! We have been there many times and had a good experience but this latest experience was very poor and we will not be hurrying back again. Lovely food, and great service despite it being a busy Saturday evening. We will definitely be returning soon. Absolutely lovely restaurant with amazing food and service excellent, it was buzzing with people enjoying their evening . busy nice atmosphere sadly we had been forgotton about but the waiter did give us a free bottle of wine ! Really good food, we thoroughly enjoyed our meal. Everything came out very promptly, very good. Amazing food each time I visit Bournemouth. Amazing atmosphere,food and staff would 100% recommend to anyone ! Brilliant, whole group thoroughly enjoyed, lovely staff, excellent food, only downside was food didn’t all get served at same time and obviously others didn’t want to start before everyone had there’s however this did not ruin our evening & would highly recommend. Lovely Thai food, attentive service and nice atmosphere. Would come again. Had a very important family dinner booked and it took 2 hours from when we sat down and ordered to get our food. I even had to ask at one point where our food was as every other table around us had ordered, eaten and left! Once we had eaten, there was no problem bringing the bill over immediately and there was no apology or recognition of how long we had waited all evening. I have been to this restaurant several times before and never had a problem, but I will no longer be going back. Excellent, authentic, clean food. 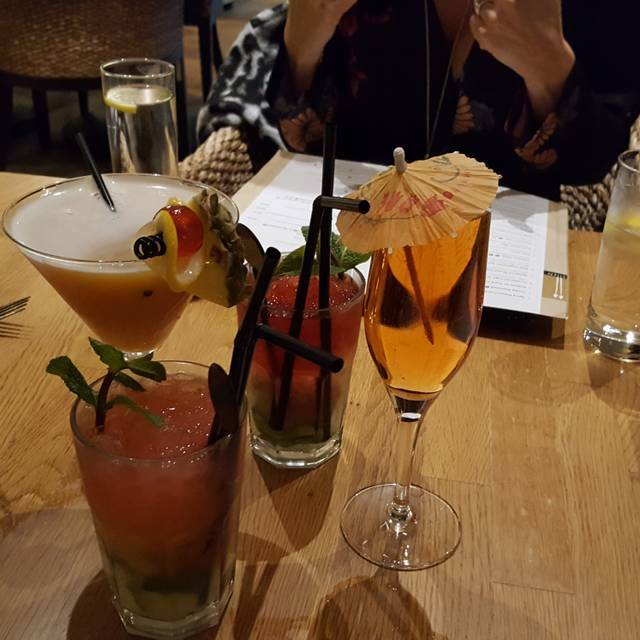 Great cocktails, lovely staff, well worth it. Thanks for a great night. Excellent food and friendly staff. Quite busy on a Saturday night, so staff were very busy. The food didn’t suffer at all though as it was really superb. I’d recommend this restaurant very highly for those who want something special as it’s on the pricier end of the scale. Very much worth it in my view. Absolutely loved Tiien Thai, such a beautiful restaurant with lovely people and and amazing food. The service was great and my friend whose birthday it was loved it aswell! Will definitely be coming back. It was easily the best Thai experience I’ve had in a long time. Drinks and food are excellent!!! Would definitely recommend this to Thai food lovers or even first timers. Lovely restaurant and food, very enjoyable experience. Fantastic dining experience! Me and my girlfriend were 20 minutes late for our reservation and we're still greeted with a traditional Wai bow from the lovely owner. The atmosphere is warm and the decor is inviting. The food was packed full of flavour and fresh ingredients used, reasonable prices aswell. 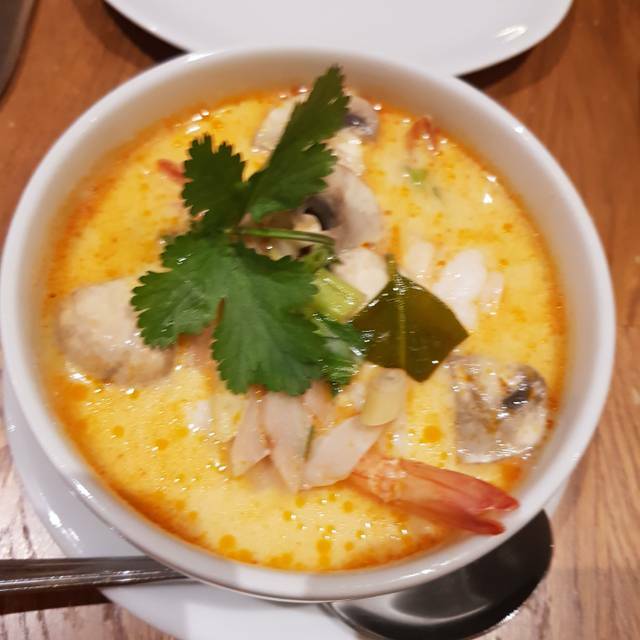 Staff were very very friendly and made you feel comfortable, definately reccomend to anybody who wants a real Thai experience!! Great food and very good service. Only slight negative was it was very busy when we went (Saturday night) and the restaurant was very noisy . OK for us as we went as a group but not sure I’d go back for a quiet romantic meal .. at least not on a Saturday. Food and service was great . Comfortable environment. Had a great night. We enjoyed our meal but the service was pretty slow due to it being a very busy Saturday night, we felt a bit ignored we couldn’t get attention to order drinks or pay our bill. Food was very good and the staff were friendly we would go back again. A truely amazing night. The best Thai food we have ever had the pleasure to experience. We are very much looking forward to our next visit to Bournemouth and a visit to the restaurant will be a must. Amazing food and great value. Would definitely recommend going again. Had eaten there last year and food was amazing, so decided when visiting Bournemouth this year we would visit again. Order chicken satay which was lovely and faultless, but Prawn Pad Thai wasn't pleasant, the prawns were very overcooked and rubbery, the pad Thai consisted of a huge portion pot sticky rubbery noodles and hardly an vegetable. we were off to see show so didnt have time to raise it as we couldn't afford to wait for a replacement dish, but wouldn't go back there. Everything was perfect, booking online was super easy and very fast to do. Nice greeting upon arrival and shown to our seats. Service was great and food was very nice indeed. The occasion was a family celebration for my 85th Birthday my wife and I had been before while staying at the Marriott My family was very impressed and will be coming again as the live local . My wife and I have been dining here for over ten years, and have never once been disappointed with the quality of the food and service. 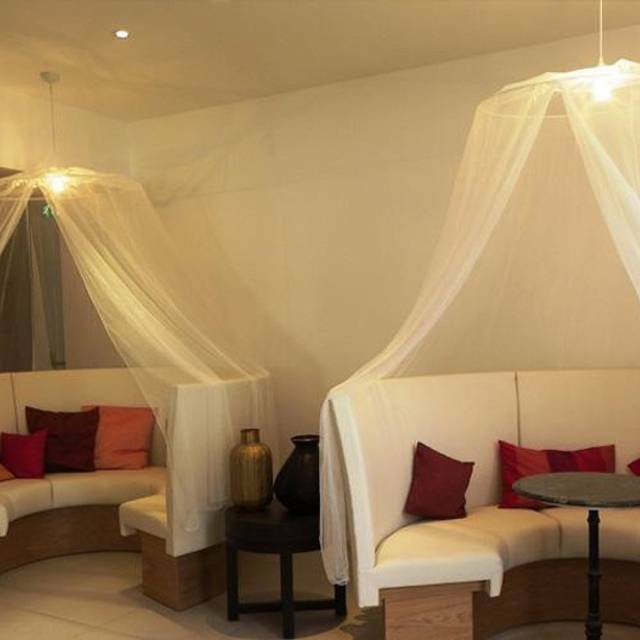 The manageress/owner are always very welcoming and the atmosphere just perfect. Excellent Thai restaurant and the service was great. Excellent as always....each time i go I try something different and am even more impressed! We decided to dine here after reading the other reviews here on OpenTable and it did not disappoint! We ordered the Tiien special rice without the tiger prawns (basically pineapple rice), Massaman curry with chicken, pad Thai with chicken, the mixed vegetables, and the chicken satay. We also ordered a side of sticky rice because the curry does not come with rice. All of the food was delicious! There were two of us and we are almost everything we ordered. The pineapple rice has a wonderful spice to it that builds as you eat, the pad Thai could have used a bit more spice, and everything else had a wonderful flavor. We probably won’t order the chicken satay next time. It was good, but didn’t stand out as much as the other food. The mixed vegetables are served in a really aromatic and delicious oyster broth. All of the vegetables in the dishes tasted extremely fresh and were cooked al dente - no mushy vegetables here! We recommend going early! This place just got busier and busier as the night wore on. We had a 3 year old with us (can be a picky eater) and he ate everything and they were so kind to him! They didn’t keep us topped up on water without stopping a passing waiter and asking - minor annoyance. 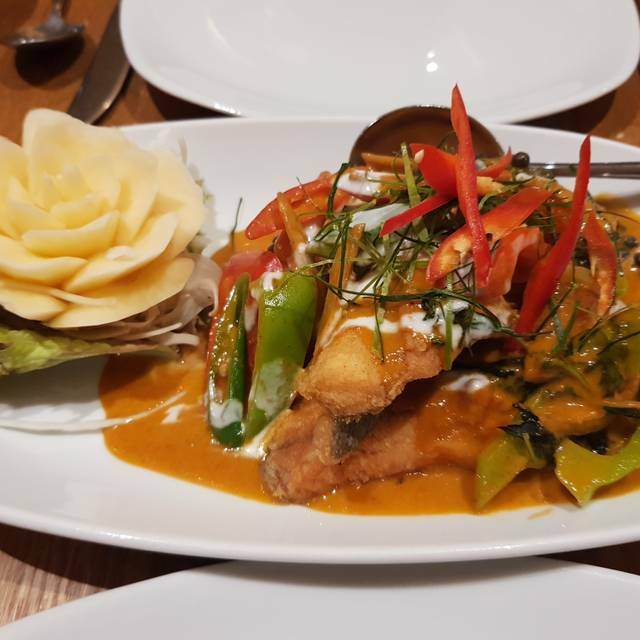 But we’ll worth a visit if you’re in the area and love Thai food. Would highly recommend. The restaurant was so stylish, service great and food amazing. Only criticism would be that despite all the staff being dressed beautifully in authentic Thai attire, the person bringing the food out of the kitchen was wearing a hoodie and tracksuit bottoms...not what you’d expect as all the other staff were dressed immaculately. We thoroughly enjoyed our evening and the food was very good. We chose a set menu and there was so much food! Only 2 choices for main though ... would have preferred a spicy dish as a choice too .. the choices were massaman curry or seabass. Service was very efficient and professional. Prices are typical of a restaurant in town ... you don't get much change from £100 if you include a bottle of wine.